Howdy. I’m Chantal Forster, an IT management consultant and urban beekeeper located in Chicago, IL. In 2010, as a beekeeper in New Mexico, I started the City of Albuquerque’s beekeeping program with partnership from the City’s Open Space Division. 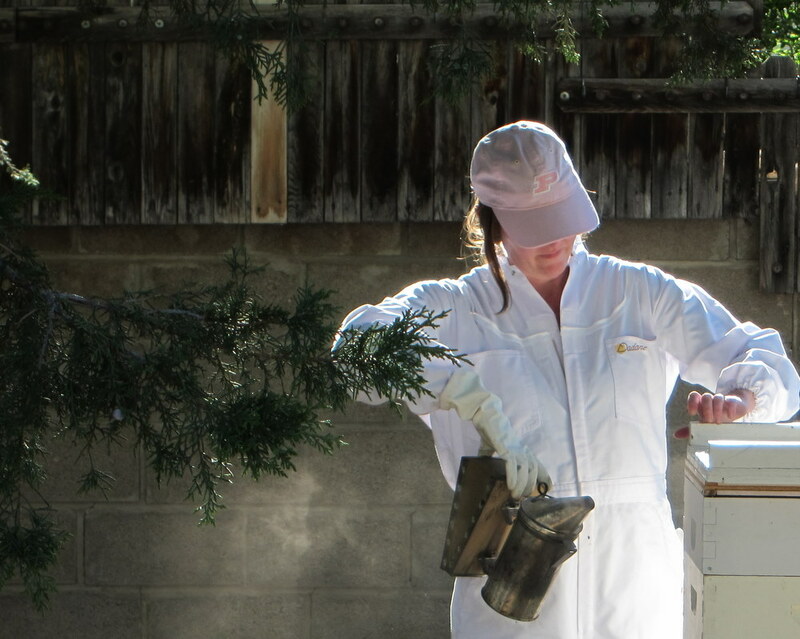 In 2009, I co-founded the Albuquerque beekeepers club including regular educational seminars, a mentorship program, and community swarm-capturing program. The group now boasts over 1000 participants, making it a significant education and outreach component of a pollinator-friendly New Mexico. On a volunteer basis, I’m delighted to present and share the joy of beekeeping for groups and audiences. Why do I keep bees? Good question. I started keeping bees on a whim. Inspired by a friend who left his hive in Albuquerque on the way to keep bees in Africa for the Peace Corps, I decided the real question was — why NOT keep bees? Then I found out one day my great-grandpa, Weir Shafer, kept bees on his apple orchard and decided beekeeping was my destiny. This site is about sharing the process with other intrepid naturalists and armchair friends of the bees.